Our journey started through the realization that students travelled great distances to access education. While searching for solutions to this problem of Access, we learned that once students would arrive at school, they did not have adequate access to Nutrition - a prerequisite for education. Finally, while working in the classrooms, we discovered the high rates of teacher absenteeism and lack of teacher fluency, these obstacles were hurting student literacy - the number one predictor of academic success and we started working to improve curriculum through our SiMBi Reading Application and Solar-powered Classrooms. Meet Avir, an inspiring student and TWSB Scholar. Our access model involves helping students get to school through transportation infrastructure (School Buses) and sponsoring students based on merit and need. We sponsor 16 TWSB Scholars. These remarkable students are high academic achievers who come from particularly marginalized families. Our objective is to support these scholars on 5 year scholarships and ensure academic continuity into university. A TWSB Chicken Coop Installed in Putti Village. Our nutrition program focuses on three areas: Water Catchment Systems, Chicken Coops, and Community Supported Agricultural Programs (CSA). Through this model, we're able to provide small, self sustaining investments that improve overall nutrition. 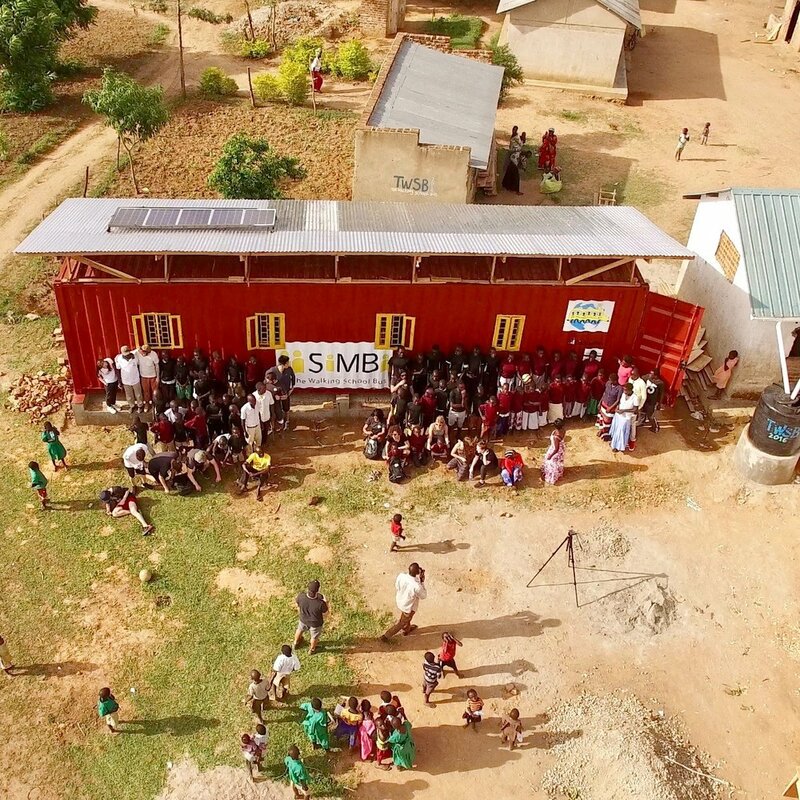 Our Solar Powered Classroom installed in Putti Village. Our curriculum program is geared towards improving student literacy through the Simbi Reading App. After testing the effectiveness of our app through a RCT (read paper here), we realized that it had to be more readily available in the rural communities where we work. The BrightBox Classroom enables that. CURRICULUM | We create academic synergies which mutually enhance both local and international communities education and curriculum. ACCESS | We are committed to ensure that students globally have access to education. NUTRITION | We are committed to nutrition, a prerequisite for education. GRASS ROOTS | We are committed to working with leadership in developing countries through grassroots application to ensure that our impact is positive and sustainable. ELIMINATE BARRIERS | We are committed to supporting cultural and interfaith education which breaks down religious barriers and biases. Our Mission is to enable students to access education by empowering communities and researchers to combine their strengths through TWSB’s research-based approach. By holistically improving access to Transportation, Nutrition, and Curriculum, our goal is to establish sustainable solutions that positively impact students and communities. 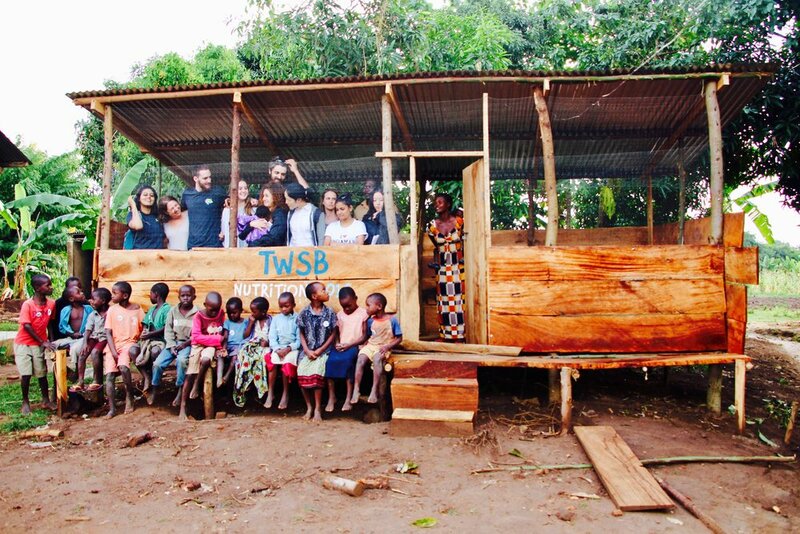 TWSB Reinvests 100% of all profits from our Expedition Model back into the communities we support. This is done by sponsoring Scholars and supporting its three-prong approach of Transportation, Nutrition, and Curriculum to help students get to school, ensure they’re well fed, and improve their curriculum. Sponsor 16 TWSB Scholars to attend school on 5 year scholarships. Fundraise for the basic transportation needs many of our partnered communities currently lack on a case by case basis. Assess the sustainability of The Walking School Bus (TWSB) Model as it impacts our partnered communities through established research programs. Building water catchment systems which provide improved access to water throughout the year and support our chicken coops and Community Supported Agricultural Gardens (CSA). Implementing Community Supported Agriculture (CSA) to provide self-sufficient school feeding programs to our partnered communities. Building chicken coops which provide nutritious meals for students at our participatory schools as well as generate a passive income when eggs are sold (when students are not in school). Experiential learning in our local communities with an aim to positively impact our participatory communities overseas. Find out more about our Experiential Learning model and Think Tank. Provide opportunities to travel with purpose, through our Uganda Expeditions.